Our page layout and design, color correction and image retouching skills allow us to create effective marketing pieces including beautiful mail-order catalogs. 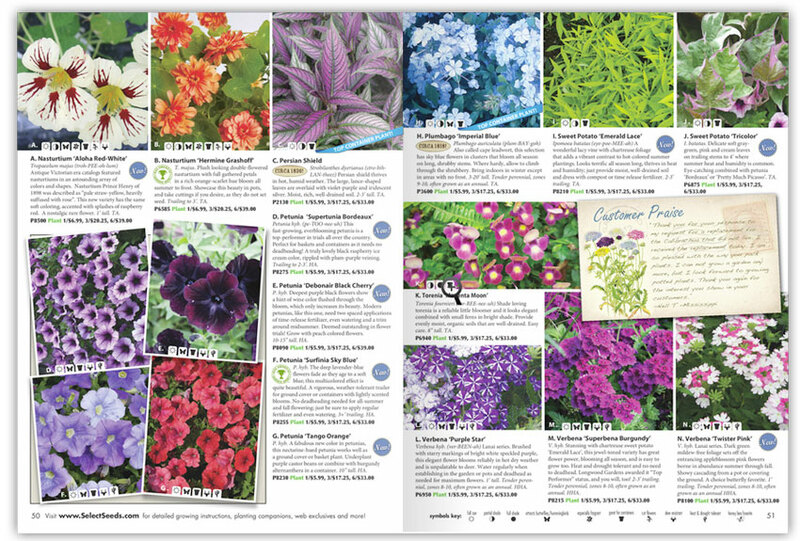 Since 2006 we have been producing this 68 page flower and seed printed catalog that gets mailed to over 300,000 homes. Fusion specializes in pre-press and print production. Contact us today for more information on your next print project!